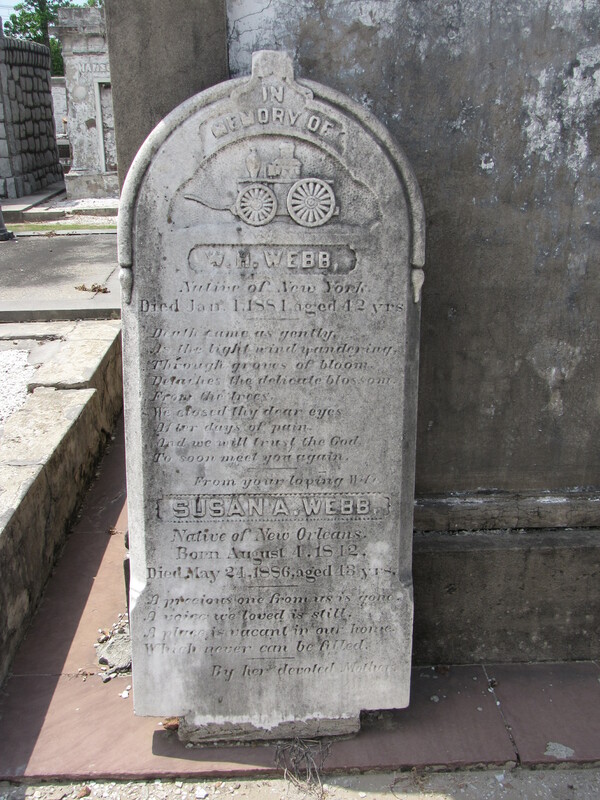 Many individual gravestones in the Cypress Grove Cemetery at New Orleans are dedicated to firefighters. 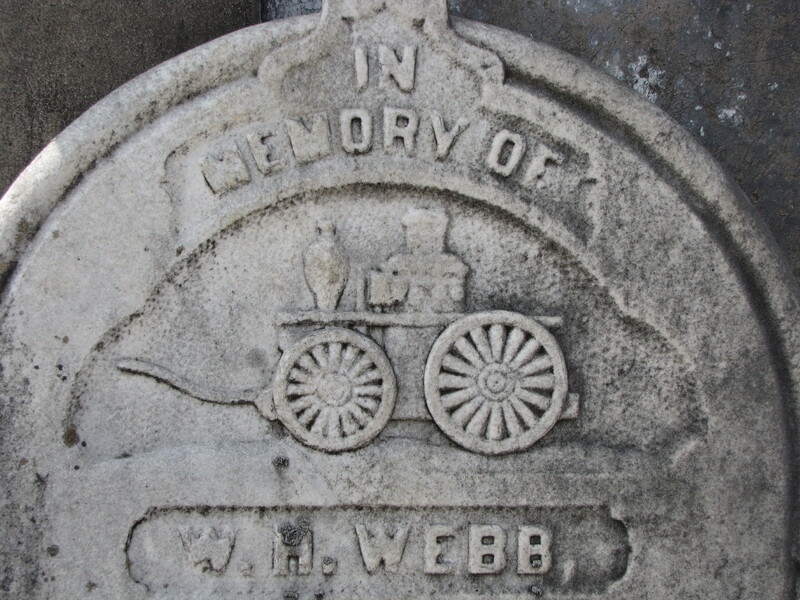 The gravestone of W. H. Webb, propped up against a tomb, is decorated with a pumper signifying his service as a fireman. To soon meet you again. Died May 24, 1886, aged 43 yrs. A precious one from us is gone. A voice we loved is till.